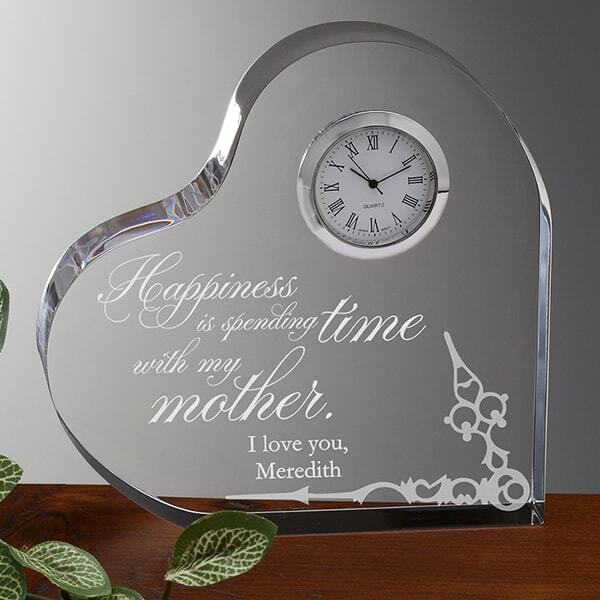 Remind your mother that she will remain in your heart and mind everyday with our exclusive Loving Mother Personalized Heart Clock. We custom personalize her timepiece by skillfully engraving your choice of 4 verses or write your own personal feelings and sentiments to her. 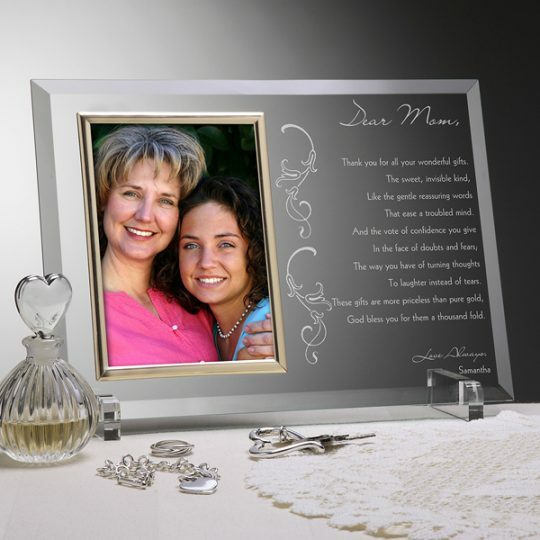 End with your loving sentiment and name) to create a truly unique, “timeless” keepsake she will treasure always!